The US Air Force hired Galpin Auto Sports to transform Dodge Challenger into a serious supercar.The result,a Dodge “Vapor” Challenger. It had previously commissioned the “X-1” Mustang, which saw the regular Ford cabin swapped out for a fighter jet cockpit, ejector seat, and flight stick included. 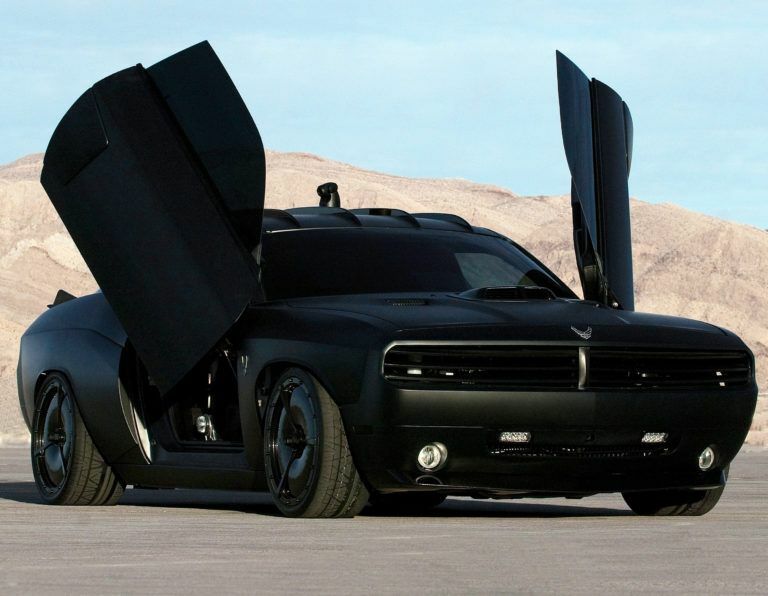 Stepping up its own game, in 2009, the Air Force presents the Dodge Vapor: the Challenger you’ll never see/feel coming. The Dodge Challenger toured the U.S. for more than seven years(2009-2016) with the Air Force Recruiting Service, educating the public on opportunities for officers and enlisted airmen by showcasing U.S. Air Force ingenuity, state-of the-art technology, and innovation. 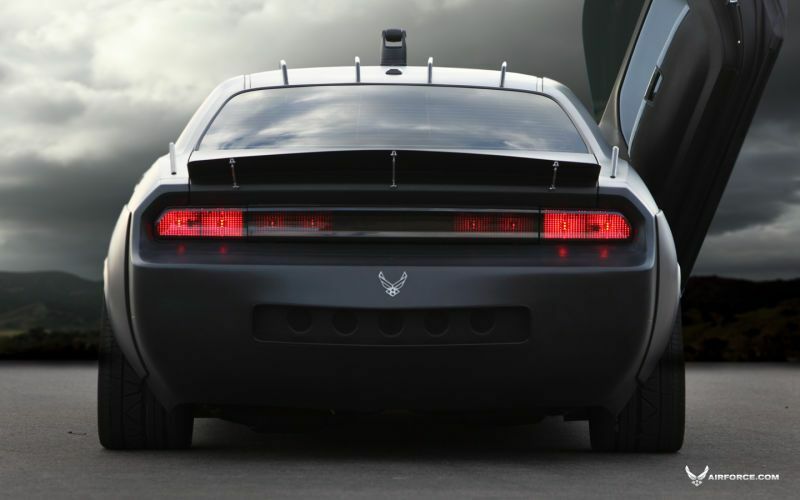 The stealth-black Air Force Challenger ‘Vapor’ features a biometric access to open the vertical doors, a custom stealth exhaust mode that allows the vehicle to run in complete silence or the headers can be opened facilitate the aggressive sound of the engine. The vehicle also boast of a shaker hood, radar-absorbing paint ,proximity sensors and a 360-degree camera with a quarter-mile range. 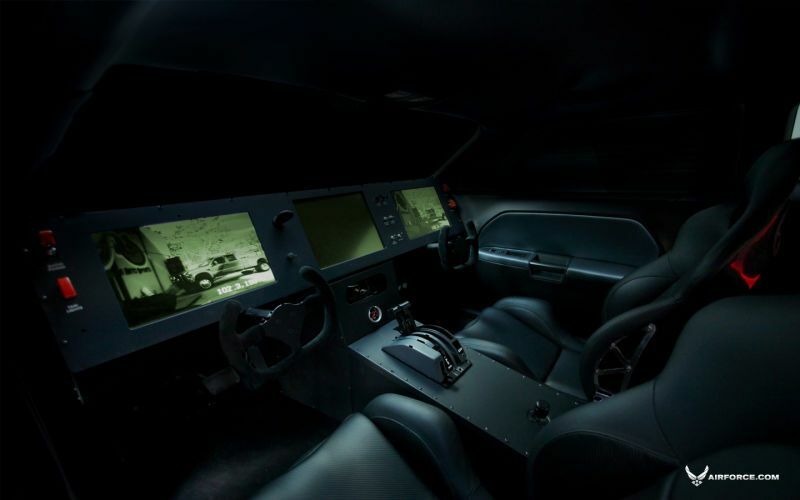 The Challenger ‘Vapor’ interior features aircraft style controls, a passenger side steering wheel, GPS tracking, night and thermal vision via a film on the front windshield, and the most technologically-advanced computer system with remote control UAV-type access from anywhere in the world utilizing the Internet. The ‘Vapor’ also comes with two custom flight helmets in line with the Air Force theme of the vehicle. The Challenger Vapor is now on display at the National Museum of the U.S. Air Force. A major part of the museum’s mission is to inspire the youth toward an Air Force or STEM (science, technology, engineering and math) career, and the supercar is an assets been utilize to help them accomplish that goal. 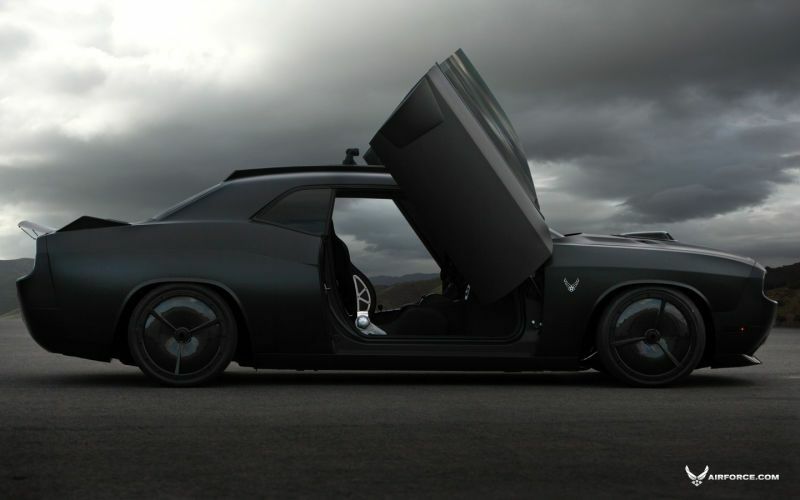 What do you think of the Dodge Challenger Vapor?